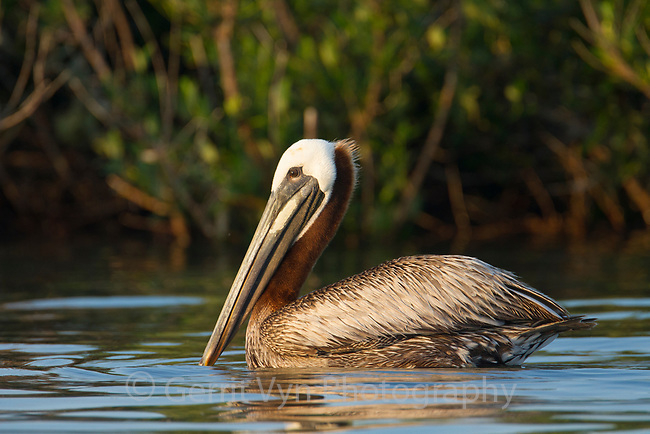 Adult Brown Pelican (Pelecanus occidentalis) swimming near its mangrove island nesting colony in Barataria Bay. Jefferson Parish, Louisiana. July 2010.